Judge Billings Vela was appointed to the 4th Judicial District Court on July 1, 2015, and presides over all District Court cases in Teller County. Previously, she served as the Teller County Court Judge from October 1, 2011 to June 30, 2015. 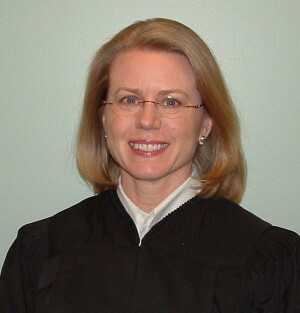 From 2009 to October, 2011 Judge Billings Vela served as a magistrate in the 4th Judicial District where she presided over the dependency and neglect and family treatment drug court dockets. From 1995 to 1997 and from 2001 to 2009 she worked in the 4th Judicial District Attorney’s Office where she prosecuted cases in juvenile, county court, district court and the economic crimes division. From 1997 to 2001 she worked in private practice as an associate with Anderson Dude & Lebel on civil matters, school law, domestic relations and municipal utilities law. Billings Vela earned a bachelor’s degree from The Colorado College and a law degree from The University of Denver Sturm College of Law. Judge Billings Vela serves on the Board of Directors for Community Partnership, Joint Initiatives and the Kiwanis Club of the Ute Pass-Woodland Park region. Her other community service work includes serving as an instructor for the National Judicial College and volunteering with the Teen Court and Judicially Speaking programs.